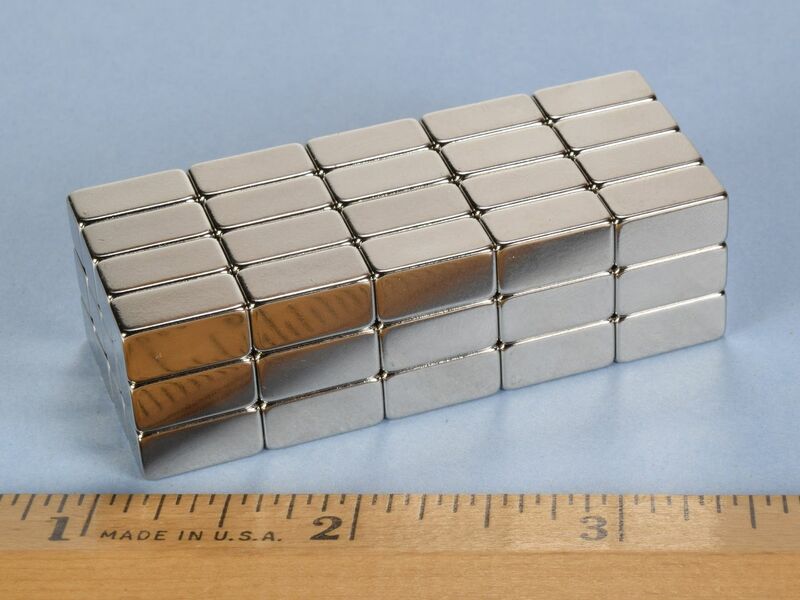 These blocks are magnetized through the 1/2" length so the poles are on the small 1/4" x 1/4" ends. 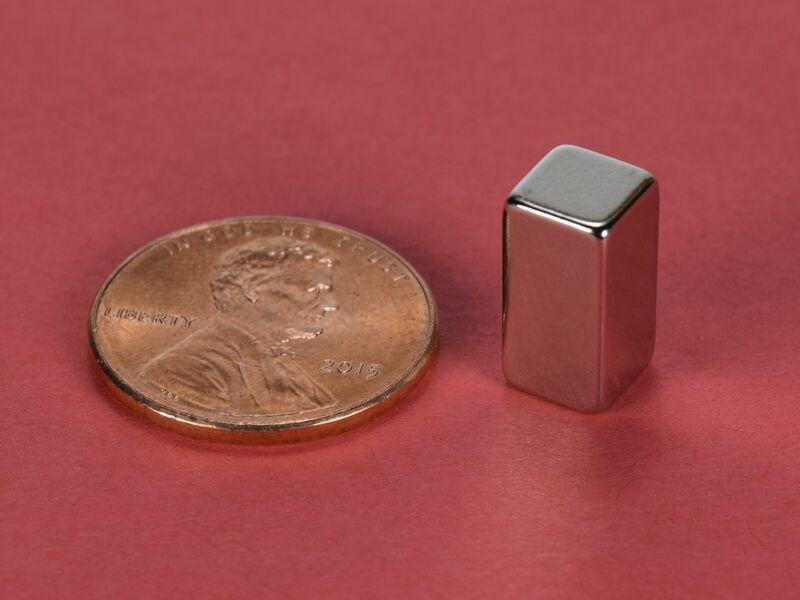 They are like a "square cylinder" magnet and are useful for many applications. Also available in grade N42, B448.